All Types of Cosmetic Surgery including Liposuction, Breast Augmentation, Breast Enlargements, Breast Uplifts, Breast reductions and Face Lifts of all Kinds. SAVE ££££’s WHEN COMPARED TO UK PRICES. 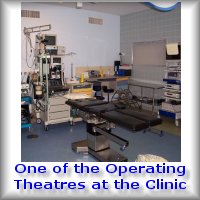 and care in our Cosmetic surgery hospitals in Évreux. 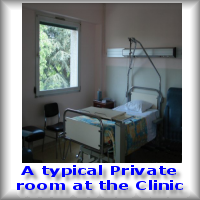 The clinics in our network are located in convenient locations so that travelers can gain easy access by most methods of transport, and especially with the advent of Low cost direct flights, Eurostar or Ferry Options to many Cities in Europe.Our network includes Hospitals in Le Havre and Clinics at Évreux near Paris. From the moment you contact us, we will guide and advise you to enable you to make the right decision. Whether you need a plastic surgeon for breast augmentation, enlargement, reductions or lifts, liposuction, or a face lift we can help you. All our medical staff are approachable, competent and available to you 24 hours a day.All of our cosmetic surgeons and plastic surgeon practitioners speak English, as do many of the support and nursing staff. Each of our fully staffed clinics is a recognised centre of excellence in cosmetic surgery, plastic surgery, breast enlargement, augmentation, lift enlargement or reduction, liposuction and face lifts as shown in our list of plastic surgery and cosmetic surgery options available. Why wait for the NHS when you can now speed up the process with Plastic Surgeon France, and what’s more we offer affordable Plastic Surgeon cost in France for many more patients living in the UK and Ireland. It is now possible to have your cosmetic surgery with our plastic surgeon within one week of contacting us, and what’s more, the cost saving can be £££££’s when compared to the same cost in private clinics in Great Britain. 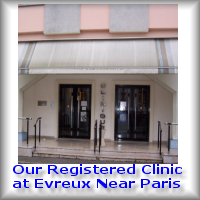 Our Private Clinic in France is accessible to UK clients for Cosmetic Surgery of all types. With the ever increasing ease of access from most parts of the UK, it now makes it perfectly acceptable to travel to France at a reasonable cost. The Clinics in our Network are located in convenient locations so that Travelers from most parts of the UK and Ireland can gain easy access by most methods of transport. Because of this you will benefit from the lower costs of plastic surgery for Tummy Tucks, Breast enlargement, augmentation, lift enlargement or reduction, Face Lifts, Nose surgery (Rhinoplasty) or liposuction. Our Plastic Surgeon is Professionally Qualified to carry out in France and his Qualifications are Comparable to the standards expected in Great Britain thanks to EU standardisation of Medical Qualifications in France also Benefits from what is Considered by many to be one of the best Health Service providers in the Western World. You can also Compare plastic surgery cost list worldwide where you find that cosmetic surgery in France cost less.